Rama – Close up on me ! Head Skin Applier : L’ETRE – Adachi – Sandy Tone. By David Cooper (dam1710) NEW!!! 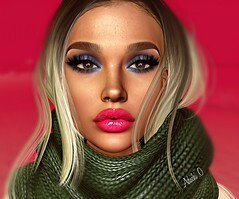 Hair : DOUX – Jin – Fades Pack . By Javiersasoo NEW!!! Background : RAMA – #selfie_RAMA Art Showroom RARE . By Faullon @The Guardians Event! Bodysuit : IDYLLE – Amber Bodysuit – GIFT!!! By Me Available from 7th of April @ SPOTLIGHT EVENT.